Ten to twelve curators are selected each year for the core CCL fellowship. 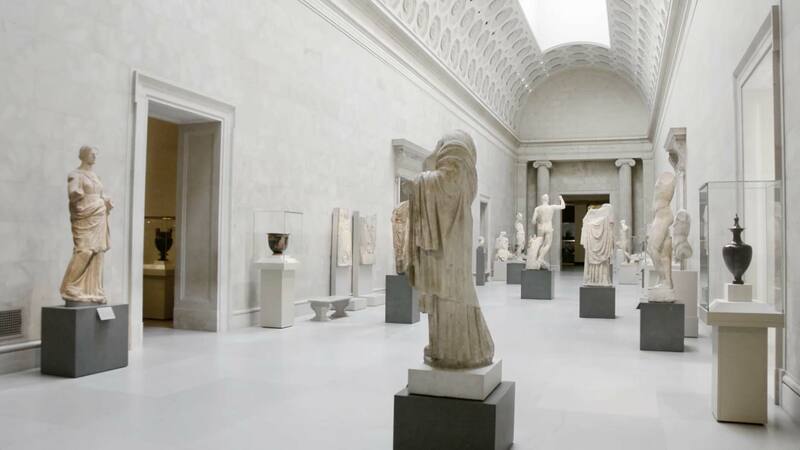 Applicants must be full-time art museum curators; the ideal candidate demonstrates a track record of success with and commitment to the full range of the curatorial endeavor – management, care, and scholarly study of collections as well as the development and execution of exhibitions, publications, and community programs. The 2020 CCL Fellowship application will open in May of 2019. Submissions are due July 2019. Following application review and finalist interviews, the 2020 class will be announced in November 2019. CCL applications and recommendations are submitted online. Applicants must create an account to access the online application. You can enter information, save, and return anytime before the deadline to edit and continue the application. Two recommendations are required for application. One should be from your museum director or, if that is not possible, the most senior person you report to at your institution. The second recommendation should be from a professional colleague from outside your museum. This can be a former supervisor or a peer in the field. Applicants will enter the information of their two recommenders in the online application. We strongly encourage you to input this information as soon as you begin your application to give your recommenders adequate time to prepare their letters in advance of the deadline. When you click Contact Recommenders, the recommenders will receive an auto generated email with instructions and a link to the online recommendation page. Therefore, you should contact your recommenders and ask them to write on your behalf before you add their contact information to the application. Recommenders can prepare the text in Microsoft Word and then copy and paste it into the recommendation submission form. Do I need to be nominated by my institution? No. CCL encourages both institutional and self-nominations for this program. Is this program open to other museum professionals (e.g., educators, development officers, etc.)? The CCL core program is designed specifically for museum curators. Applications are reviewed by the director of CCL and a small committee composed of museum directors and CCL alumni. What kind of qualification will I receive? CCL and Columbia Business School both confer certificates of completion. How will I be paired with a residency host? Through a series of in-depth conversations beginning in the fall, the director of CCL assesses the interests and goals of each fellow. In concert with the fellow, CCL coordinates the residency pairing before the program begins in January. Each fellow will be matched with a director whose experience, institution, interests, and talents complement his or her own. When will I do my residency and where? Residencies take place at a museum other than the curator's own institution, at a time that is mutually agreed upon by the CCL fellow and his or her host. Depending on the schedules of both parties, residencies ideally occur mid-fellowship in March or April.